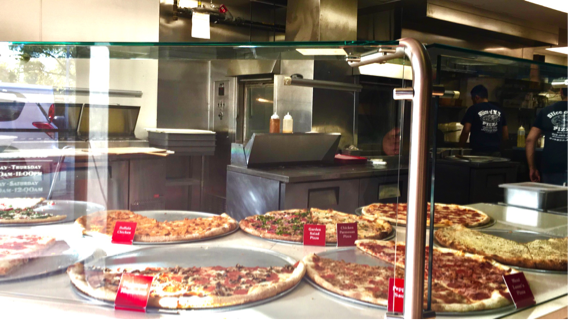 Tasty Tuesday is back this week, featuring another one of Hillsborough Street’s pizza places! Slice of N.Y. Pizza is such a chill, laid-back place for students to go and hang out. As soon as you walk in the door, the fantastically-familiar smell of pizza hits you in the best way possible. At the entrance, they have some of their specialty pizzas on display. Their vast menu also has all the favorite classics like calzones, pasta, strombolis, wings and more. The pizza slices are huge and only $2.75 each! This is an excellent place for students to come grab a nice piece of pizza and not break the bank. 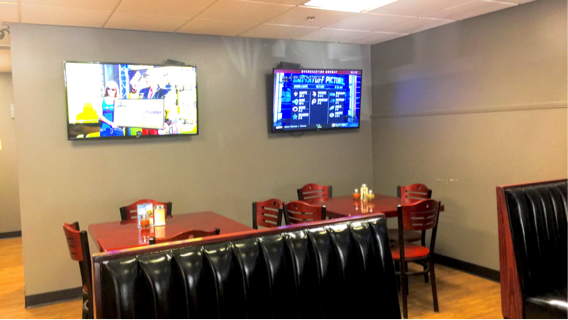 The walls are lined with televisions and there is plenty of indoor seating, making it easy for students to come and enjoy their favorite sports from afar. The staff is very friendly and greets you at the counter with a smile. I ordered cheese pizza slices and wasn’t disappointed. The slices were as big as my head and very tasty. Having recently been to New York City, these pizza slices could easily compete with the places up north. 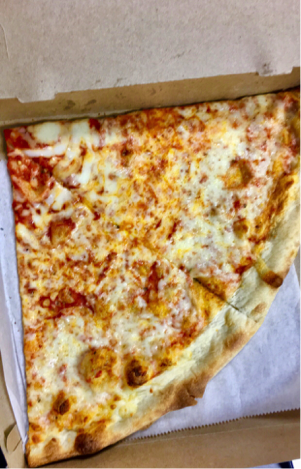 If you’re ever in a hurry and need a quick bite to eat, Slice of N.Y. Pizza is the place to go! It’s located at 2316 Hillsborough St, Raleigh, NC 27607 in between Chipotle and Jimmy John’s, and it’s open from 10am to 11pm.